Apply two coats of OPI Infinite Shine Dreams Need Clara-fication. Allow each coat to dry. 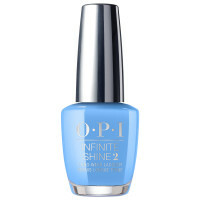 Using a dotting tool, apply multiple dots of OPI Infinite Shine Tinker, Thinker, Winker? near the base of the nail. 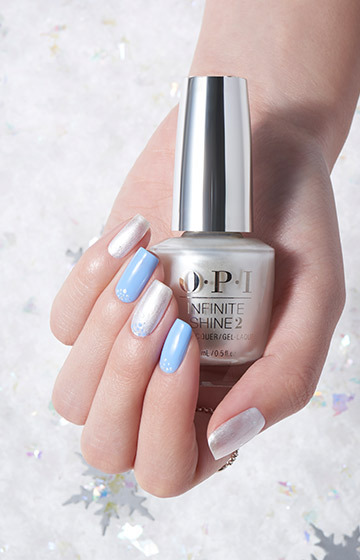 Continue to apply more dots with OPI Infinite Shine Dancing Keeps Me on my Toes to create a half moon shape at the base of the nail. 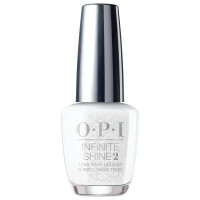 Apply one coat of OPI Infinite Shine ProStay Gloss.